This week on The Good The Bad The Ugly Film Show Adam, Greg and Nick take a look at new release films ‘One Eyed Girl,’ ‘Trash,’ ‘Unfriended,’ and ‘Kuniko, The Treasure Hunter′ . This episode also contains interviews with Nick Matthews, Greg Sneddon and Elena Anaya. To listen to the show you can download it for free from our Podcast Channel – Listen/Dowload here. 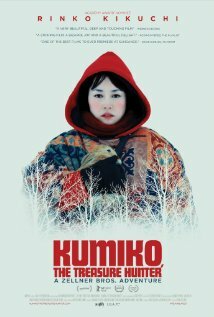 Summary: Kumiko, played by Academy Award-nominee Rinko Kikuchi (Babel), lives a shy and solitary life in a cramped Tokyo apartment shared only by her beloved pet rabbit Bunzo. Increasingly isolated, constantly browbeaten by her mother who complains that she isn’t married yet, and stuck in a dead-end job with a demeaning boss, Kumiko devotes all her spare time to compulsive viewings of Joel and Ethan Coen’s classic Fargo. It’s not so much the film that fascinates her, more the suitcase of cash Steve Buscemi’s hapless kidnapper buries beneath the snow in the titular city’s outskirts. You can hear Greg’s full Kumiko, The Treasure Hunter review on The Good The Bad The Ugly Film Show Ep #127. Other Subculture Entertainment Kumiko, The Treausre Hunter reviews: You will also be able to hear our Kumiko, The Treasure Hunter review on The Good The Bad The Ugly Film Show Ep #127. Summary: A group of online chat room friends find themselves haunted by a mysterious, supernatural force using the account of their dead friend. You can hear Adam’s full Unfriended review on The Good The Bad The Ugly Film Show Ep #127. Other Subculture Entertainment Unfriended reviews: You will also be able to hear our Unfriended review on The Good The Bad The Ugly Film Show Ep #127. 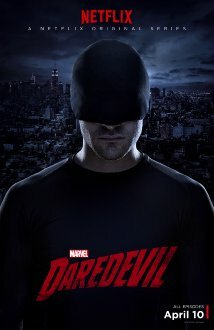 Summary: Travis, is a thirty-something psychiatrist haunted by the death of a former patient. On the brink of a nervous breakdown he stumbles across a group run by a charismatic leader, Father Jay. In search of answers, Travis is led deeper and deeper into the underworld of a Doom’s Day cult where he meets Grace, a mysterious teenage girl. 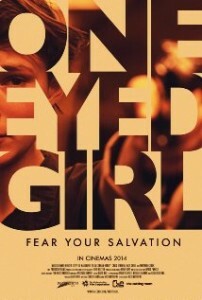 When the cult comes under attack from the outside world, Travis must risk his life to free a girl, and save his soul. Other Subculture Entertainment One Eyed Girl reviews: You will also be able to hear our One Eyed Girl review on The Good The Bad The Ugly Film Show Ep #127. A trailer and scene from new Australian sci-fi has been released ahead of its release on May 8th. 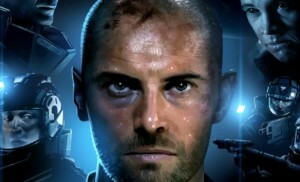 Set in the dark reaches of space, INFINI is the story of an elite search and rescue team transported to a distant mining station to save Whit Carmichael (Daniel MacPherson) who is the lone survivor of a freak accident. Using Slipstream technology the team must transport into a hostile environment and quarantine a lethal biological weapon, which is set to arrive on Earth within the hour. Filmmaker Shane Abbess is best known for his 2007 fantasy action debut, Gabriel, which is one of the most commercially successful independent Australian films of all time. The INFINI ensemble cast includes MacPherson, Grace Huang, Luke Hemsworth, Kevin Copeland, Dwaine Stevenson, Harry Pavlidis, Louisa Mignone, Tess Haubrich, Bren Foster and Luke Ford. Filmed and post-produced in New South Wales, the film is the first project from Storm Vision Entertainment, the joint venture label of Storm Alley Entertainment and Eclectik Vision media group. INFINI premiered at 2015 Gold Coast Film Festival on April 12, with Abbess, producer Matthew Graham and co-writer/composer Brian Cachia joining MacPherson, Huang and Hemsworth in a Q&A following the screening. Select talent also joined Supanova Pop Culture Expo panels in Melbourne 11 April and Gold Coast 18 April. Internationally, INFINI enjoyed its World Premiere at Brussels International Fantastic Film Festival that same weekend, with other international film festival announcements to come. 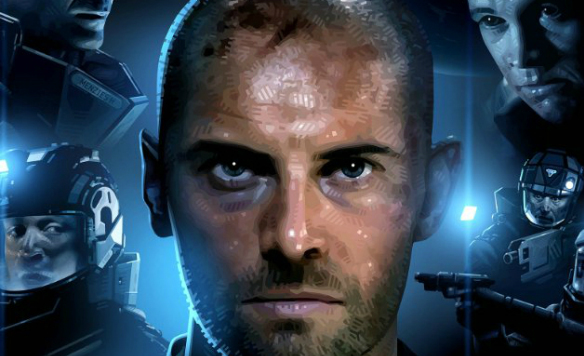 You can view the Infini trailer and clip below. Twentieth Century Fox have just released a brand new Fantastic Four trailer. 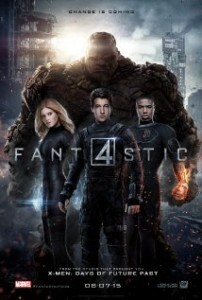 Directed by Josh Trank (Chronicle) starring Miles Teller (Whiplash), Michael B. Jordan (Friday Night Lights), Kate Mara (House of Cards), Jamie Bell (The Adventures of Tintin: Prisoners of the Sun) and Toby Kebbell (Dawn of the Planet of the Apes). Screenplay by Simon Kinberg (X-Men: Days of Future Past). This week on The Good The Bad The Ugly Film Show Adam, Dave, Greg and Nick take a look at new release films ‘Avengers: Age Of Ultron,’ ‘Frackman,’ ‘Testament Of Youth,’ ‘Boychoir,’ ‘Touch,’ and ‘Sunday′ . This episode also contains interviews with Dustin Clare, Michelle Joy Llord and Francois Gidard. Also make sure you listen to the show if you would like to win a copy of Hell On Wheels thanks to Icon Distribution on DVD.